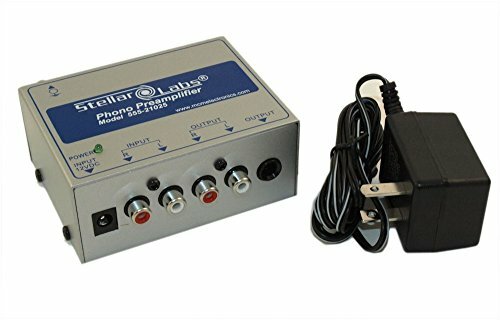 High quality phono preamplifier allows turntables with high quality magnetic cartridges to be connected directly to home theater receivers that lack a phono input. It is also great for connecting turntables to personal computers or laptops for transferring vinyl LP's digital media. Internal RIAA equalization circuit provides proper response curve for correct emphasis from LP's. SHIPPING WEIGHT (Each): 1.38 lbs. If you have any questions about this product by My Cable Mart, contact us by completing and submitting the form below. If you are looking for a specif part number, please include it with your message.